Lafourche Parish District Attorney Kristine Russell announced that a man from Gray pled guilty to Distribution of Marijuana and Distribution of Methamphetamine last Wednesday and was sentenced to 78 months for each charge with the Louisiana Department of Corrections; each sentence of 78 months is to run concurrent. 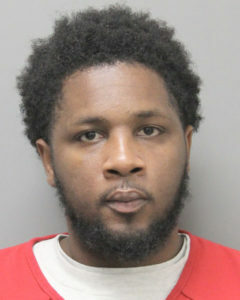 Kentrell Robertson, 26, sold the illegal narcotics to a confidential informant working with the Thibodaux Police Department’s Narcotics Division in October of 2017. Robertson was on parole for Distribution of Marijuana until June of 2020 at the time he sold the illegal narcotics. With his plea, Robertson’s parole was revoked and he will have to finish out the remainder of his sentence before beginning his two concurrent 78 month sentences in June of 2020.